It's going to cost hundreds of million dollars more than originally planned to build the proposed PolyMet copper-nickel mine and processing plant in northeast Minnesota — but the eventual payout could exceed $2 billion, according to a new economic and technical report PolyMet Mining released Tuesday. The 273-page report updates mining plans and cost estimates for the construction and operation of the controversial proposed mine, which would be the first copper-nickel mine in Minnesota if regulators approve it. 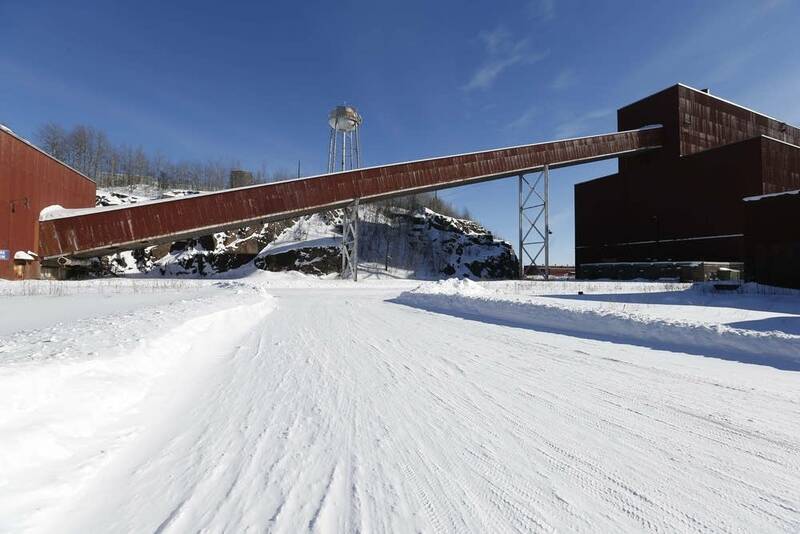 PolyMet now estimates it will cost $945 million to open the mine near Babbitt, Minn., and refurbish a former taconite processing plant near Hoyt Lakes, Minn. Previous estimates had put the tab around $650 million. Much of that cost increase is due to inflation, said CEO Jon Cherry. The costs to treat tainted water have also increased to $63 million with the addition of infrastructure such as a cut-off wall that will be built around part of the tailings basin, and a wastewater treatment plant. The company now also plans to purchase mining equipment up front at a cost of nearly $100 million, rather than lease it. But those increased up-front capital costs will be offset by higher estimated metals prices during the lifespan of the mine, Cherry contends, driven by the anticipated boom in electric vehicles. Those vehicles require large amounts of copper, nickel and cobalt. "About the time we'll be coming online there will be a structural deficit created in copper and nickel markets, one that's already there in cobalt," Cherry said. PolyMet plans to mine 32,000 tons of ore per day over a period of 20 years. In January, the Minnesota Department of Natural Resources issued a draft permit to mine for the project, which lays out not only how the company plans to mine and process the ore, but also how it plans to contain pollution and treat water for potentially hundreds of years. The permit also calls on PolyMet to post about $1 billion in so-called "financial assurance" about halfway through the mine's operating life, to cover mine clean-up costs in the event PolyMet folded and couldn't cover the costs itself. Regulators are currently reviewing comments they've received on the draft permit. Officials have said they'd review PolyMet's updated financial study before deciding whether to issue a final permit. "What this study shows today is there will not be sufficient cash flow to protect Minnesota taxpayers," argued Aaron Klemz with the Minnesota Center for Environmental Advocacy. "We're taking a billion-dollar gamble on this mine." PolyMet's current plans call for mining about one-third of the mineral resources the company controls. The company predicts earning between about $170 million and $270 million in profits over the 20-year life span of the mine as currently proposed. That's actually significantly less than the roughly $650 million PolyMet predicted in an updated technical report released in 2012. In that report, PolyMet predicted an internal rate of return of about 30 percent. That's three times the roughly 10 percent rate of return the company projects in its new document. But the new feasibility study for the first time analyzes the potential for PolyMet to expand the mine, possibly mining and processing four times as much ore per day as called for by the current mining plan. That could also potentially extend the life of the mine beyond 20 years. The company would not be able to do that without first conducting financial and engineering studies and undergoing additional environmental review and permitting, Cherry cautioned. But mining all the potential resources available to PolyMet, Cherry said, could increase profits to over $2 billion. "There's significant additional economic potential for the remainder of the resource, for relatively low additional capital costs," Cherry said. But Paula Maccabee with the group WaterLegacy said it looks like PolyMet is in trouble. "To make the kind of profit they claimed six years ago, they now say they would need a massive increase to more than triple the size, and the impacts, of the NorthMet copper-nickel sulfide mine," she said.